In what human rights groups call an appalling decision, the ICC Pre-Trial Chamber II decided not to grant the Prosecutor’s request to open an investigation into alleged crimes committed in Afghanistan and on the territory of other States Parties implicated in the U.S. torture program. Tens of thousands of victims in Afghanistan, along with victims of U.S. torture, had urged the ICC to authorize the investigation. Despite finding that requirements were met as regards both jurisdiction and admissibility, the Pre-Trial judges decided that authorizing an investigation would not serve “the interests of justice”, due to “subsequent changes within the relevant political landscape both in Afghanistan and in key States (both parties and non-parties to the [ICC] Statute),” “the complexity and volatility of the political climate…mak[ing] it extremely difficult to gauge the prospects of securing meaningful cooperation from relevant authorities”, along with a lack of possibility of preserving evidence for crimes committed in the early 2000s. The three judges added that, “in light of the limited amount of… resources, [authorizing the investigation] will go to the detriment of other scenarios (be it preliminary examinations, investigations or cases) which appear to have more realistic prospects to lead to trials.” The Pre-Trial statements are clear references to the harsh campaign waged by the Trump administration against the Court as well as to the lack of support – including financial – given to the Court to carry out its mission to combat impunity. “We condemn the ICC’s shocking decision, which is based on a deeply flawed reasoning. 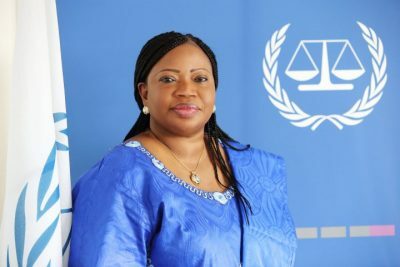 The ICC was created precisely to overcome the very challenges that made national investigations impossible – it is unacceptable that these challenges are now invoked by the Court to deny justice to the victims. It is a dark day for justice,” said Patrick Baudouin, FIDH Honorary President.